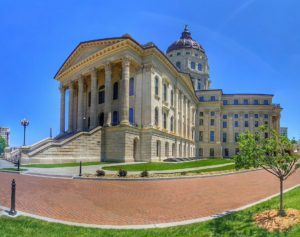 Home » Posts Tagged "Scott Schwab"
As legislators returned to the statehouse today, most were looking forward to a week of steady, but not necessarily frantic work. The full House gathered briefly this morning, but our attention was drawn to the Old Supreme Court room where the House K-12 Budget Committee was to meet. And meet they did, for about 2.5 hours to work on Proposed Substitute for House Bill 2410. This is the bill the committee is working to amend, tighten, and present as the fix to school funding that will hopefully pass court muster. Last week, former Senator Jeff King who has been hired as legal counsel, basically said that it is time for gamesmanship to end and that the Supreme Court ruling on adequacy was a very direct charge to provide full constitutional funding for all public schools and that particular attention should be given to students identified as “at-risk.” King’s remarks essentially shut down the argument brought by some staunch conservatives that adequacy was only about at-risk students and not about providing full constitutional funding for all public schools. Still, some ideologies are hard to break, to whit, Rep. Brenda Landwehr was one of the first to speak at the opening of the committee meeting. Landwehr expressed- in no uncertain terms- her belief that the current bill up for consideration failed to deliver mechanisms for accountability and the consequences necessary to punish districts who did not meet new accreditation requirements due to lack of adequate academic progress. It seems that the “test and punish” culture of “no child left behind” is something Landwehr refuses to leave behind. Others like Rep. Scott Schwab agreed with Landwehr. “We’re in a catch 22” Schwab lamented, stating that new accreditation requirements fail to address individual failing schools within a district (although he admitted there are few), and that the cycle would eventually mean “I’m back in court.” Rep. Melissa Rooker, one of the bill’s chief architects, was able to assure the committee that there are mechanisms in place to ensure accountability while also providing for paths to success and improvement. Provision to “grandfather” districts such that none lose transportation funding under a move to a new transportation formula. Amendment by Rep Rooker to count pre-k at risk students in current year rather than previous year so that more can access a special pool of state funding for building new early childhood, at-risk programs. Rooker suggested that although the pool of money was relatively small $2 million, it was one more step the legislature could take to show that it recognizes how “extraordinarily important” early childhood and at-risk programs are. Another Rooker amendment seeks to tighten language under the current definition of “at-risk.” (See a draft of proposed changes here). 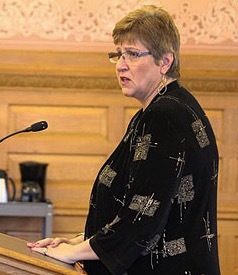 One final amendment proposed by Rep Landwehr, but ultimately withdrawn, sought to impose upon the KSDE to create a new report to the legislature. This report would be a “quick look” style report of information gathered from other existing reports. 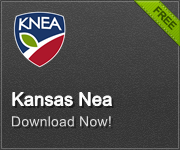 Several committee members were opposed to adding this unfunded responsibility to KSDE, citing increased pressure on staff and resources to create a report that essentially duplicates other reports. KSDE’s venerable Deputy Commissioner Dale Dennis responded in his typical endearing and folksy way to a committee member who asked if this would present an increased workload on already stretched staff. “I’ll be shot if I say yes, but I’d be lying if I say no.” Landwehr ultimately withdrew the amendment but promised to revise it and bring it back to the committee. No announcement was made for the next committee meeting time, although legislative schedules show a standing meeting throughout the week.